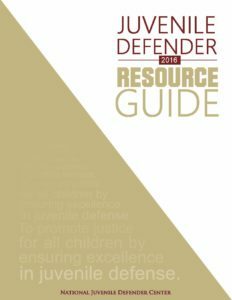 Each year in conjunction with the Summit, NJDC publishes an annual Resource Guide, which is a compilation of law review articles, studies, case briefs, court decisions, and other information relevant to juvenile defense from the preceding year. To download materials from individual sessions at this year’s Summit, select the date from the listing below. For your reference, you can download the complete 2016 NJDC Leadership Summit Agenda.